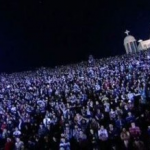 Some 70,000 Christians have gathered for massive all-night prayer rally in Cairo, organizers said. CAIRO, EGYPT (BosNewsLife)– Christians in Egypt “request prayers” amid concerns about deadly violence and political uncertainty, ahead of the country’s first parliamentary elections since the ouster of President Hosni Mubarak in February. The call for prayer, monitored by BosNewsLife Sunday, November 27, came amid reports that 70,000 believers already gathered for an all-night prayer vigil in one of the poorest areas of Cairo, the capital. 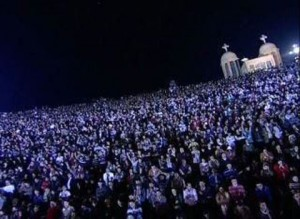 Organizers described the November 11 gathering as the largest Christian event in Egypt “in more than a millennium”. It was held at St. Simeon the Tanner Coptic Orthodox Church in Mokattam, known as Cairo’s “garbage city” as its economy revolves around the collection and recycling of the city’s garbage. Although the area has streets, shops, and apartments, it lacks infrastructure and often has no running water, sewage, or electricity. Egyptian Christians, many known as Copts, now hope that other believers around the world will pray for them and their nation, explained advocacy group Middle East Concern (MEC), which distributed the prayer request via electronic mail. Tough the popular uprising ended President Mubarak’s 30-year rule, Christians fear the “pattern of protest” against the interim military rulers, and violent response, “is nurturing an environment of indifference towards violence, including sectarian violence,” MEC told BosNewsLife. On Sunday, November 27, Egypt’s army chief said he would not let “troublemakers” meddle in Monday’s parliamentary ballot, warning of “extremely grave” consequences if the country does not overcome its crisis. Field Marshall Hussein Tantawi spoke as thousands of protesters again gathered for another rally, following recent unrest, in which dozens have died. Last month, at least 25 Coptic Orthodox Christians were killed and over 300 wounded by security forces during a peaceful protest against the destruction of a church, witnesses said. There have also been reports of other attacks against other Orthodox Christians, including a teenager, who was reportedly killed in the country’s central province of Minya for wearing a crucifix at school on October 16. Egyptian Christians, known as Copts, also “continue to be a vulnerable group, disproportionally affected by the lack of security in Egypt. 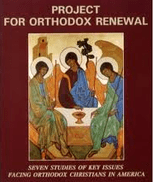 They fear that the current climate of intimidation, violence and instability could lead to fewer Orthodox Christians voting, which would impact their representation in Parliament,” added MEC. Additionally, Christians are concerned that some parties, “if they achieve power intend to restrict freedoms, including freedom of expression and the religious freedom of religious minority communities,” said MEC. The statement also stressed that Egyptian Christians urge prayers for “an end to the violence, and that independent investigations will be initiated into the recent violence and that suffered by predominantly Christian protesters in October”. 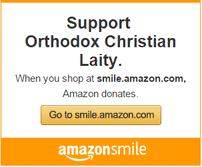 Egypt’s Orthodox Christians make up 10 percent of the 80-million population in the heavily Islamic country.